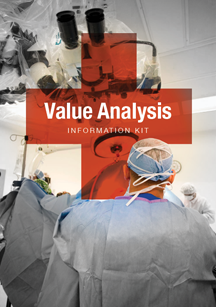 Value Analysis Committees (VAC) have become the primary decision-making conduit through which hospitals and health systems evaluate and make sourcing decisions. To maximize sales success, vendors need to provide VAC members with succinct and compelling summaries presenting the clinical and economic benefits of their offerings. 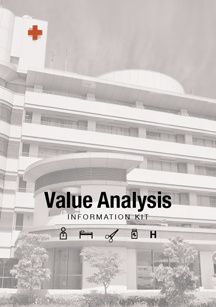 To assist hospital suppliers in this regard, Kotler Marketing Group offers the following services, each of which is informed by extensive research with value analysis committee members. Concise: VACs typically meet once per month and must make many evaluation and sourcing decisions in a short period of time. They often have as little as 10 minutes to review sourcing options. The VAC Pack must be direct and to the point, and easy to review and digest. Compelling: from our research with VACs we know what they want most from a vendor business case – compelling clinical data. Our data-driven development process builds in credibility from start to finish. Our rapid development process focuses on your unique benefits and key-points-of-difference (PoD). The goal is to develop information kits that resonate with VAC members and give them the confidence to proceed with sourcing decisions. VAC packs can be developed in as little as four (4 weeks). For companies that have already developed, or are in the process of developing, a VAC Pack, we offer a VAC Pack Review™. We maintain a panel of hospital VAC personnel who will review your materials and offer up recommendations for how to enhance and strengthen your case. It’s a great way to get feedback from the value analysis community before introducing new marketing and sales collateral and tools. The reviews typically takes 1-2 weeks. In addition to VAC Packs, our advisory panel members are available to review product marketing literature and sales tools. To inquire about either of these service offerings please contact us here.